Spending less and saving more money are among the top goals on typical New Year's resolution lists. Heavy holiday spending coupled with potential tax hikes from the fiscal cliff make these goals even more important in 2013. 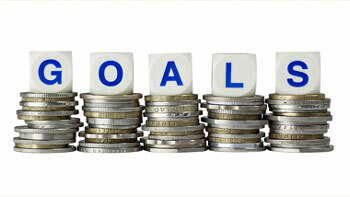 To help, here are 13 easy ways to save more in 2013. Have you ever calculated how much eating out eats into your budget? In 2011, the average family dished out $2,620 for dining out. Year-end bank and credit card statement summaries should quickly show you how much you spent at restaurants this year. You'll likely be surprised to learn how much you can save by staying home. Though the impact of the fiscal cliff makes this one tricky, the first of the year is the best time to review and adjust your withholdings. Withhold too much and you're offering an interest-free loan to the U.S. government; withhold too little and you'll have a very bad day come April 15. They say it's the thought that counts, and that's certainly the case when you receive a gift card to an establishment you don't like or isn't offered locally. Turn that card into cash by selling it on sites like GiftCardGranny.com, where you can receive up to 92-percent of the card's value or trade it for a gift card to Amazon. Learning something new is already part of your list of resolutions, so why not make it something that will save you money? Whether it's discovering how to change the oil in your car, fixing a leaky faucet or whipping up a killer stir fry, you'll cut costs and add to your list of skills. Organize a clothes swap with friends or sell them online or at a consignment shop. A clothing swap is an especially good idea for parents who constantly need new items for growing kids. Sites like thredUp.com are great online resources if friends aren't yet ready to trade. Extreme couponers have given the practice a bad name, but using coupons for everyday purchases is a tried-and-true method of saving money. Avoid a purse full of coupons with Coupon Sherpa mobile app, or take advantage of supermarket apps to organize all your grocery savings onto your loyalty card. Gym memberships are tempting this time of year, but you can forego the annual contract for at-home DVDs and inexpensive equipment like dumbbells and running shoes. Even online video tutorials from sites like BodyRock and Fitness Magazine will help you perfect movies that you can do in your living room for free. Are you still paying for books, texting, anti-virus software, video calls and ATM use? Then it's time to stop! There's a host of everyday necessities and luxuries you can get for free with a little research. Get started with this list of over 20 things you should stop paying for. A quick call to your cable provider may uncover a new promotion that will save you big bucks. Some may provide a discount for going paperless or setting up autopay, so ask what's available or threaten to switch providers. Don't forget, you can save up to $50 per month by eliminating movie channels streaming them for free on Hulu, or visiting your local library for free rentals. If you take prescription medication, you're intimately familiar with the rising cost of healthcare. Make sure you ask your doctor about generic versions of a new medication or a lesser-priced drug that offers similar treatment. He or she may even be able to provide a few free samples to help reduce the overall prescription cost. It's a good idea to pay down holiday debt as soon as possible, but it's even better idea to continue putting money away. An emergency fund is essential to avoiding financial devastation should an unexpected, pricey life occurrence strike you this year. Aim to stash away six to nine months of living expenses. Though $48 billion rewards are issued from credit card companies annually, some $16 billion go unused each year. Don't become part of that statistic. Redeem those rewards collected by swiping your plastic for discretionary spending -- instead of adding more to your balance. Consider redeeming for gift cards to apply to various daily spending needs. Do you enjoy writing? Taking photos? Designing websites? Turn your passion into a side job. You can post your professional skills at eLance.com. If nothing comes to mind, check out TaskRabbit.com where you can run other people's errands during your spare time for a small fee.